WASHINGTON—The House recently passed a bill that would expedite the removal of alien gang members from within the United States. Gang membership would become grounds for both deportation and for denying entry at the border. Currently, most gang members are only deported after committing an independent crime. The Criminal Alien Gang Member Removal Act passed a House vote on Sept. 14 with votes sitting mostly along party lines (233–175). A total of 174 Democrats voted against the bill, while 11 voted for it. The bill, HR 3697, amends the Immigration and Nationality Act to define a criminal gang as a group of five or more people with a primary purpose of committing crimes such as felony drug offenses, human trafficking, violent crimes, and/or fraud and racketeering. A gang can be designated as criminal by the secretary of homeland security, in consultation with the attorney general. The bill was introduced by Congresswoman Barbara Comstock (R-Va.), who said that at least eight murders are tied to MS-13 in northern Virginia since last November. Comstock said the region’s gang task force estimates there are 3,000 to 4,000 MS-13 gang members in the area. “At a town festival in Herndon earlier this year, the gang task force estimated 200 to 300 suspected gang members were milling about among families attending the community event,” she said in a statement. MS-13, or Mara Salvatrucha, is a transnational criminal organization whose members are often illegal aliens from Central America, predominantly El Salvador. Their recruitment tactics involve targeting young immigrants from El Salvador, Honduras, and Guatemala. A new member of the gang must “put work” into the gang at the instruction of older members, said Madeline Singas, Nassau County district attorney. Both Nassau and Suffolk counties on Long Island, New York, have been ravaged by MS-13 gang violence. “And that work includes shootings and stabbings and rapes and any other acts of violence and intimidation,” Singas said on June 15. Acting Border Patrol Chief Carla Provost said Border Patrol agents are currently required to collect and record biographic information on any known gang members who admit to gang affiliation, but must still grant them admission to the United States. The new bill would give agents the authority to deny entry to gang members. “Among those encountered, unaccompanied alien children with suspected TCO affiliation, such as MS-13, present unique challenges,” she said. Unaccompanied minors, even if they admit to being MS-13 members, are transferred to the Department of Health and Human Resources’ Office of Refugee Resettlement (ORR) within 72 hours of being apprehended by Border Patrol. Once the minor is there, DHS gets no further information on their whereabouts, including where in the United States they are resettled. Scott Lloyd, director of ORR, said the agency conducted a review on June 9 of the unaccompanied minors in their secure facilities. ORR found that of the 138 unaccompanied minors in those facilities on June 9, one-quarter were voluntarily involved with gangs. Four individuals reported that they had been forced into gang participation. Once with ORR, most minors are then resettled with their parents or relatives, who are in the country illegally. 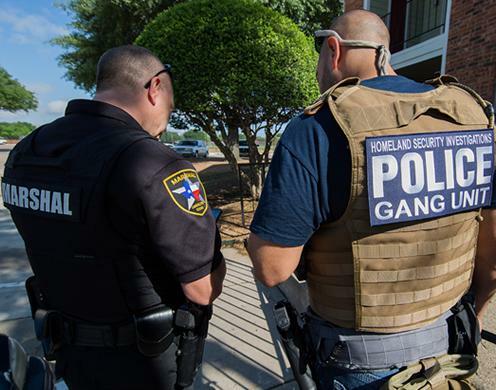 Very few gang members are picked up at the border; most are identified in the prison system, said Matthew Albence, executive associate director of ICE’s Enforcement and Removal Operations. However, cities that have so-called sanctuary policies often prohibit local law enforcement from communicating and cooperating with immigration authorities, resulting in many alien gang members being released back into communities without warning. 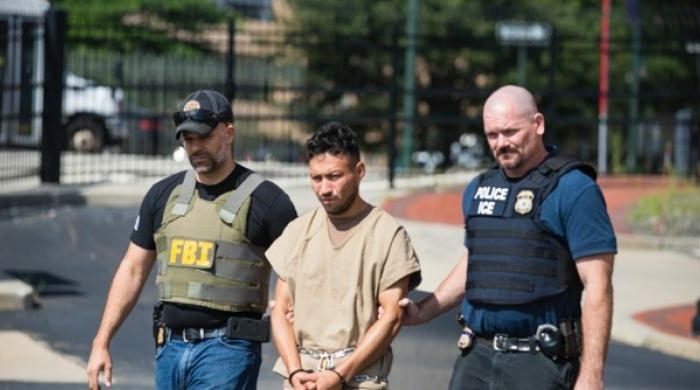 The new bill won’t persuade sanctuary cities to comply with federal immigration law, but it will assist ICE to expeditiously remove alien gang members from the country. President Donald Trump has spotlighted criminal gang activity, and MS-13 in particular. “Big progress being made in ridding our country of MS-13 gang members and gang members in general. MAKE AMERICA SAFE AGAIN!” he tweeted on July 27. The White House released a statement of support for the bill on Sept. 14. “President Trump has always made the safety of Americans his highest priority, and encourages the Senate to take quick action and pass this bill,” the White House press secretary stated. If the bill is taken up by the Senate, and voting follows similar party lines, it is likely to pass.